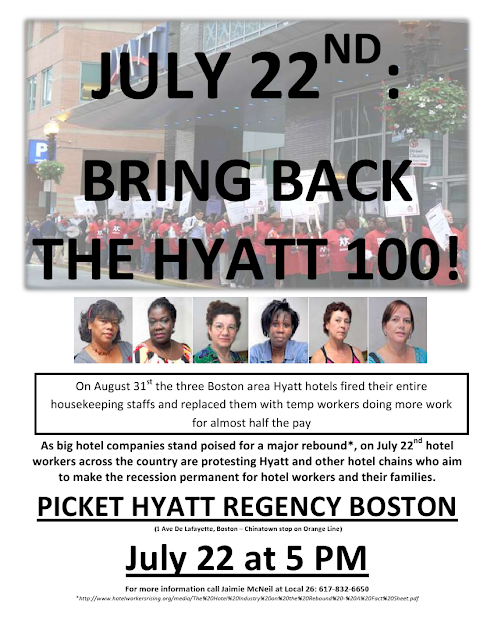 BOSTON SOCIALISM: Picket to Support the Hyatt 100! Picket to Support the Hyatt 100! Daily news and opinion site based in the U.S., with reports from struggles around the world and left-wing analysis of political events. Socialist Worker writers dig up the dirt on Donald Trump and the swamp monsters that fill his new administration. The ISR is dedicated to advancing socialist theory and practice in the U.S. and internationally. We stand in the International Socialist tradition, affirming our commitment to “socialism from below,” the self-emancipation of workers and the oppressed, the struggle against imperialism and for national liberation, and the building of a socialist current rooted in all of those struggles. The International Socialist Organization (ISO) is committed to building an organization that participates in the struggles for justice and liberation today--and, ultimately, for a future socialist society. Socialism 2017 is a four-day conference bringing together hundreds of socialists and radical activists from around the country to take part in discussions about Marxism, working-class history, and the debates and strategies for organizing today.